Jimmy the Gun: Game It Up (3104)Clan!!! Subtitle: I Miss The Goodtimes! It’s been quite a few years now since I participated in a LAN party, gaming it up with good friends and Mountain Dew. 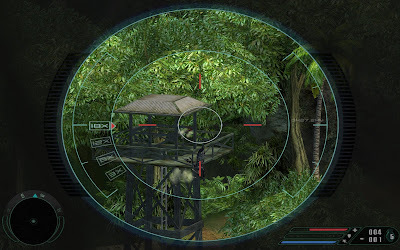 Games like “Soldier of Fortune 2” are just not made these days. And when a good LAN game does come out, the hackers end up ruining the game play with their cheats. The most recent game I’ve played is called Far Cry. 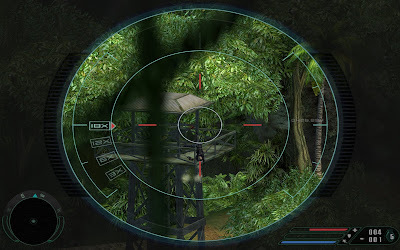 It was a great single player first person shooter, which would be sooo awesome as a multiplayer game. It would be so cool to set up the islands, which ARE the area of play in the single player version, as maps for “capture the flag” games. The old (3104) clan could take on many people in this online battle for dominance. Originally, back five years ago, I played the CTF multiplayer version of SOF2 with the 3104 Clan and by myself all the time. I took a couple screen shots of SOF2 and my scores. This first one is of a guy who was on our side (the red team) but was shooting our own team members. This seemed to happen a lot because the 3104 Clan was sooo good that people would join the team we were on and kill us, trying to help the other team. Here is a picture of me finding one of these traitors and killing him. I was even able to send a text message, "hello!" before I shot him. His name is blocked by the pink bar, due to its language. Notice in the screen shot below of my score, I have more kills in a much shorter time frame than the next closest person on the server. I have over 10 kills per minute. The next highest kills was by a guy with a 1.7 kills per minute rate. The 3104 Clan dominated SOF2 before the hackers destroyed the game. 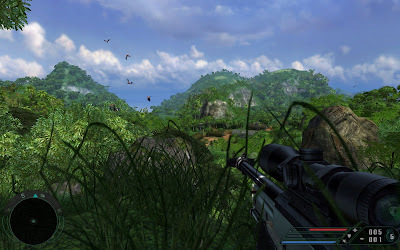 Now, in comparison, here are some screen shots from Far Cry. This first series is a set of screen shots of me “sniping” (snipering?) a guy out of a guard tower. 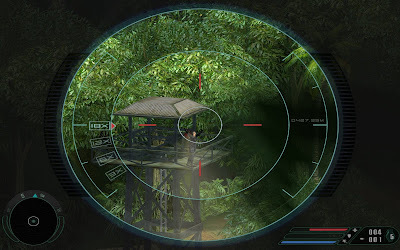 You’ll notice in one of the shots it shows I’m 427 meters from the target. That’s roughly 1400 feet or ¼ of a mile. That’s a great shot and you can see how great the graphics are. Here’s a screen shot of me hiding in the grass as I approach a base. Notice how the grass seems so real, and as it gets closer to the face, it blurs to show field of focus. 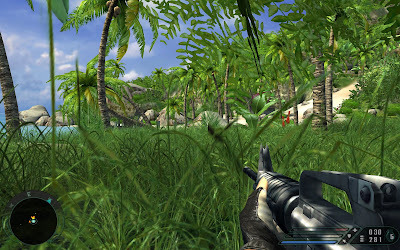 I want a multiplayer game with the graphics quality of Far Cry. And note this, I played this game a couple years ago. There are probably better quality games out now. Far Cry 2 has some screen shots. You'll have to enter your birthday because they think the pictures of death need to be guarded. I still believe that this 2 year old game has better graphics and game play than any console game out today. It just goes to show that computer games are still going to look and play a lot better than console games.